When will I get my order? : Your order will take 1 1/2 weeks to process; add ship time from MI. Please refer to this map (Click here for map) to calculate shipping time. What a way to make every age group happy than with Fudge party favors. In lieu of a cake you could have individual chocolate fudge giveaways and get a variety of flavors for all to taste test. 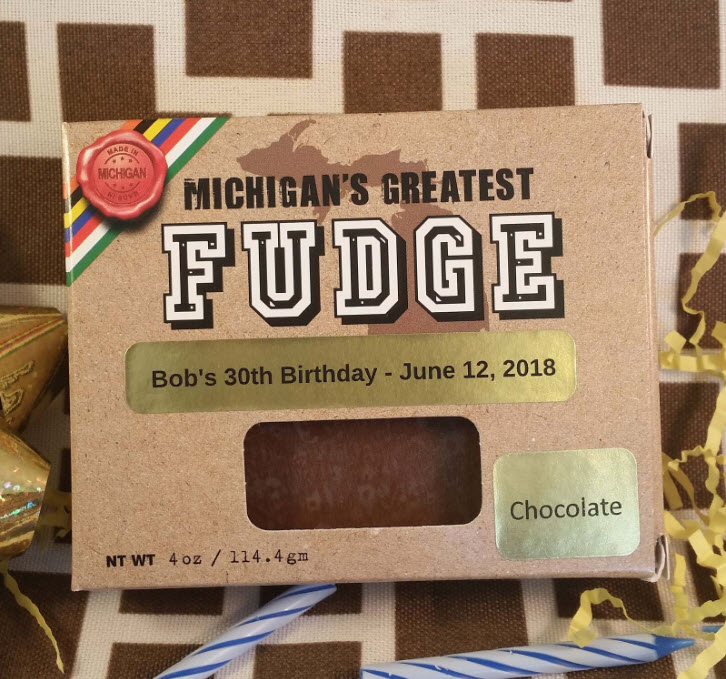 You could giveaway the best handmade Michigan, Mackinac-style fudge at your upcoming child or adult birthday party. As fudge is timeless, so are the giveaways. This irresistible fudge is vacuum-sealed to provide 90-day freshness prior to opening, so the fudge can be enjoyed right away or saved for a little remembrance treat. 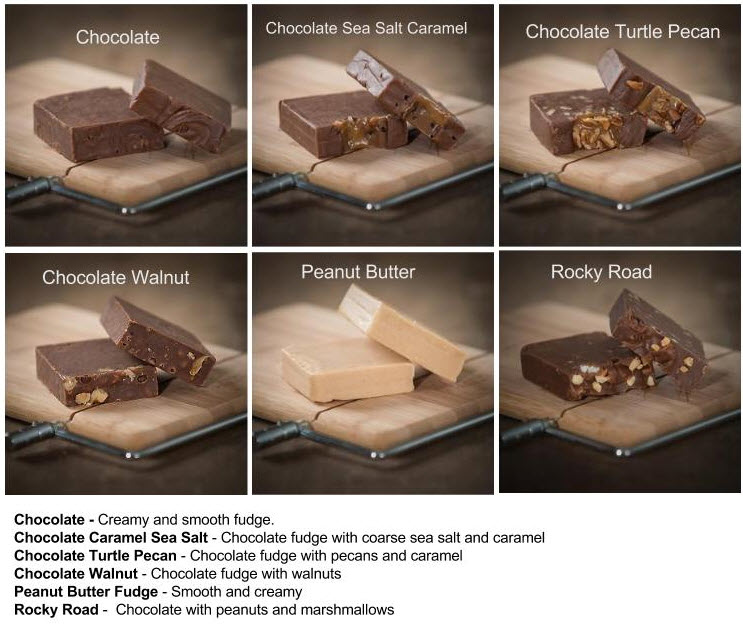 These 4 ounce packages of fudge come in a standard 4" x 3 1/4" x 1" box with front gold personalization. The actual fudge within the packaging measures approx. 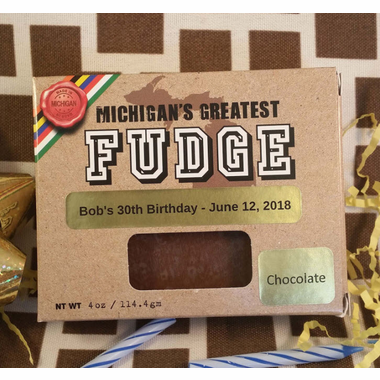 2.5" x 2.5" x 7/8" This delicious Mackinac style fudge is a wonderful addition to celebrations and ships beautifully. 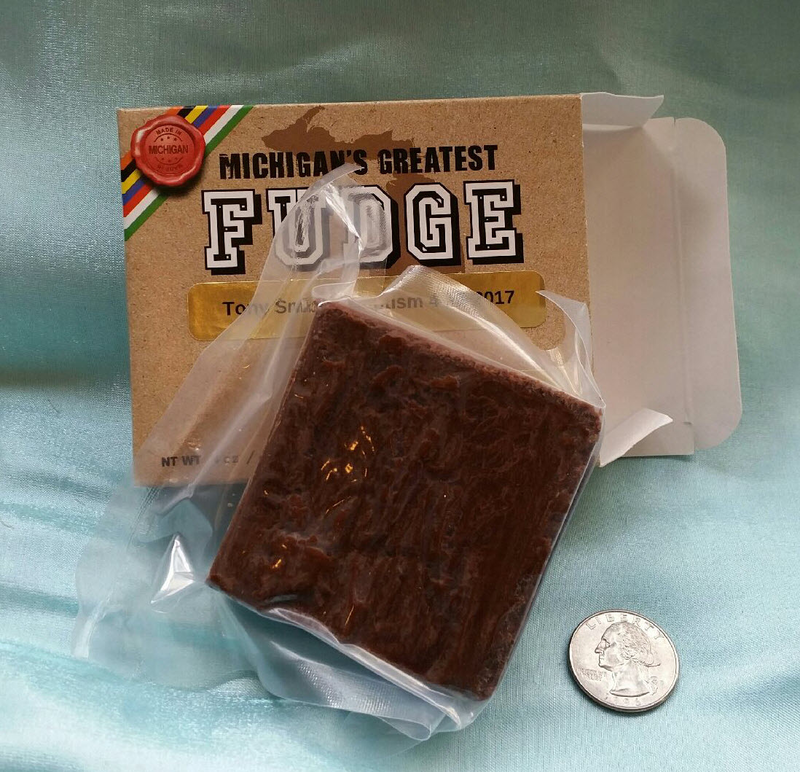 without need for ice packs or expedited shipping this well sealed, freshly made fudge can ship ground and arrive fresh.